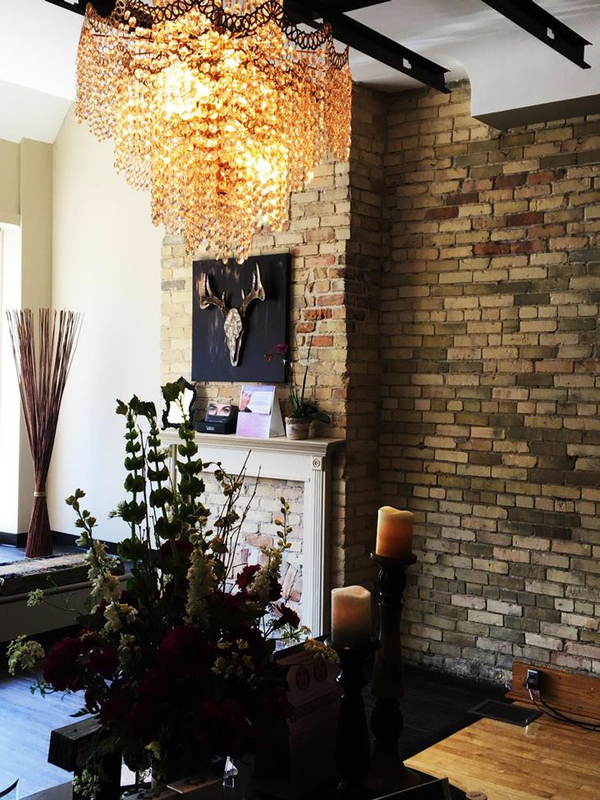 The allure of exposed brick and dazzling lights viewed through the windows of Tondue Medical Spa caught my attention as I made my way through the door. Owner Roxanne Tondu was with a customer so I wandered around the boutique-like store front, gazing at the Bay City made jewelry and makeup line. 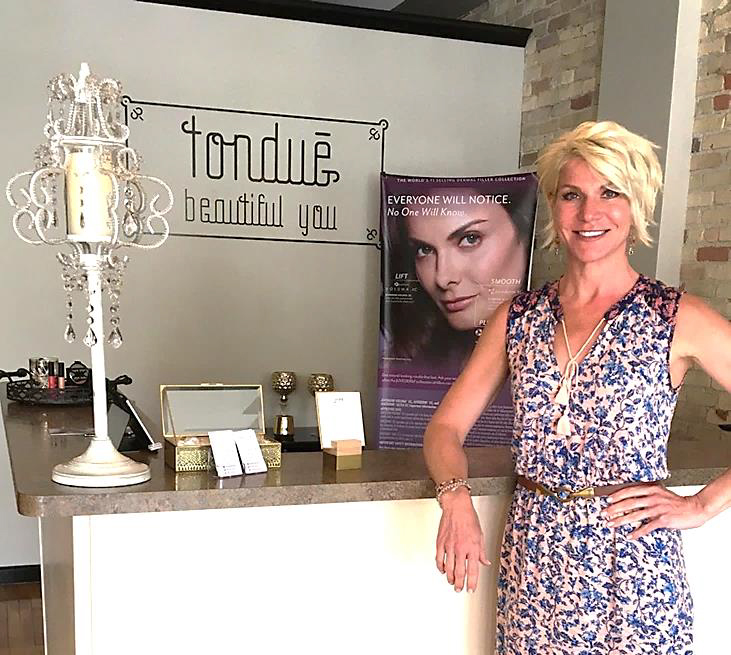 The allure of exposed brick and dazzling lights viewed through the windows of Tondue Medical Spa caught my attention as I made my way through the door. Owner Roxanne Tondu was with a customer so I wandered around the boutique-like store front, gazing at the Bay City made jewelry and makeup line. 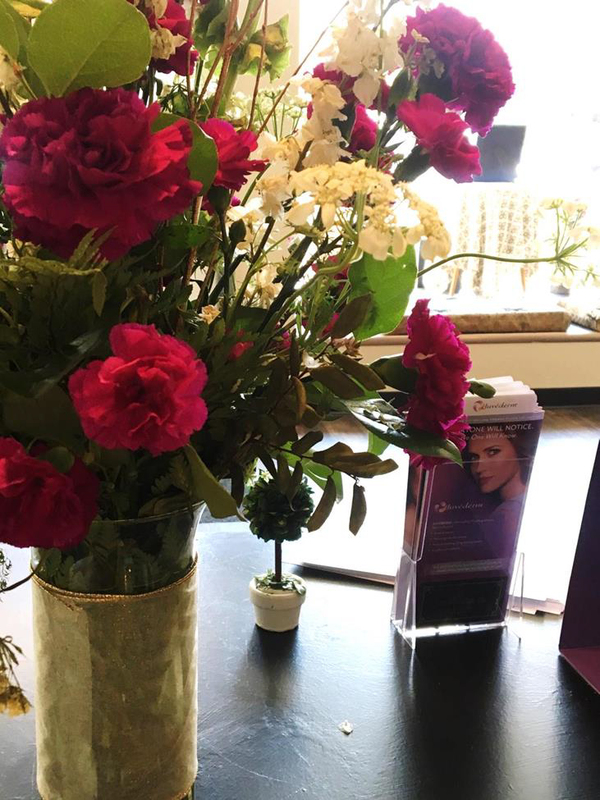 Pamphlets about Botox and fillers were also on display, and I discussed lash extensions with aesthetician Erin as I waited. Roxanne joined us in conversation, gave me a warm welcome, and shortly after we began our tour before sitting down to talk. When choosing a location for her first brick and mortar business, Roxanne chose Downtown Bay City because it felt like a “mini Chicago.” Her eye catching store front often captures the curiosity of passerby’s. During my tour I noticed that her treatment room had a relaxing feel to it. “I want people to feel comfortable when they come in,” she said. As Roxanne and I talked, we found a mutual love for Pure Barre. “I’m kind of an addict of Pure Barre,” she said, “it’s an all over body workout with controlled movement and the instructors are extremely intelligent.” I was shocked to discover that she was also a martial artist and runner. Roxanne mentioned that she didn’t have a lot of time to participate in those activities anymore, considering “[her] kids are [her] biggest hobby and they have been since they were born. They’re just so fun.” As if she wasn’t already animated, speaking of her children brought a new spirit to our conversation. “I love the ability to help someone feel better about themselves"